CINCINNATI (AP) — Joey Votto hit a grand slam and celebrated with a flap, honoring the bird that prolonged his at-bat. 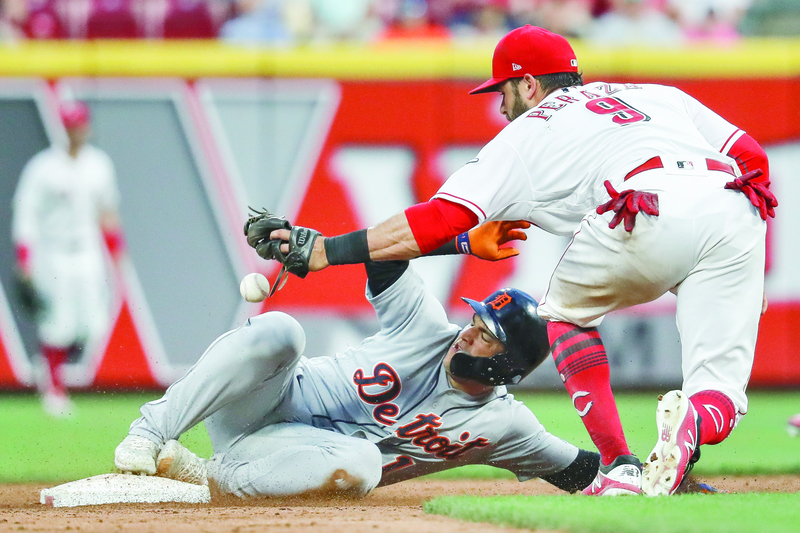 Votto ended a long homer drought with his third career grand slam Tuesday night, powering the Cincinnati Reds to a 9-5 victory that ended the Detroit Tigers’ longest winning streak in two years. Boyd walked three batters in four innings — all of them scored — and gave up a season-high five runs. He was most upset with the two walks that set up the first grand slam he’s allowed in his career.